Point2 Homes gives you far more than a simple list of houses for sale. Get instant access to a lot of relevant information about River Heights, Winnipeg, MB real estate, including property descriptions, virtual tours, maps and photos. The search results pages also have a wealth of information on River Heights, Winnipeg, MB, if you scroll all the way down. 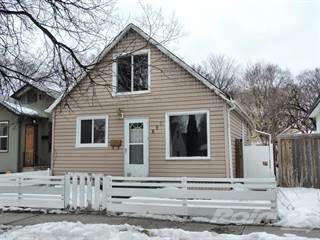 There are 137 houses for sale in River Heights, Winnipeg, MB. 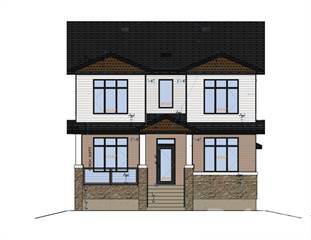 Searching homes for sale in River Heights, Winnipeg, MB has never been more convenient. With Point2 Homes, you can easily browse through River Heights, Winnipeg, MB single family homes for sale, townhomes, condos and commercial properties, and quickly get a general perspective of the real estate prices. Also, you’ll never miss a bargain if you filter listings based on house price drops in the past six months. Use the map view to find River Heights, Winnipeg, MB homes and apartments for sale, based on amenities or city features that you may want close by. You can close in on a specific neighbourhood or area by simply drawing around them with the polygon or radius tools. Stay informed about the latest entries on the real estate market by saving your searches. This way, you get new listings in your inbox, daily or every week, based on your preferences. If you’d like to get in touch with a professional, agents are displayed next to their listings, and they’re easy to contact through the online forms. If you want more options, you can click the Tools tab and Find an Agent, and you’ll get a list of helpful and knowledgeable real estate agents in River Heights, Winnipeg, MB. Visit the Point2 Homes blog and you can find up to date expert advice on many markets throughout Canada, regular market reports, neighbourhood scoops in cities throughout the provinces, real estate deals and useful recommendations. River Heights is a suburban community in the south center of Downtown Winnipeg. It is home to different historic events and places, which make up the community’s unique presence in the province of Manitoba, and distinguished for its majestic elm trees that line each street, forming a shelter of leaves that covers the street. 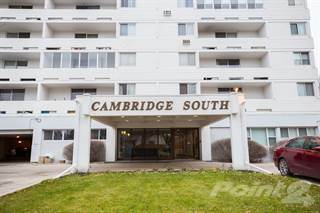 The community of River Heights is conveniently located approximately five kilometers from Downtown Winnipeg and the James Armstrong Richardson International Airport. It has a total of 17 neighborhoods bordered by Assiniboine River on the North, Taylor Avenue on the South, Cambridge Street on the East and Tuxedo (Route 90) on the West. Being one of the affluent communities in the province, River Heights’ character is middle-class and upper-middle-class, which has significant Jewish population according to the 2014 Demographic Information report. People from different parts of the world such as Asia, Europe, and North America also reside in the neighborhood and the community is presently more extensive in culture. River Heights that emits that feeling of being able to do everything you need without having to be stuck in a complex environment where people are always on the go. A more relaxing feel is what River Heights offer, with necessities within one’s reach. There are quite a number of things to do in River Heights. Recreational activities such as sports (e.g. Swimming, Hockey, Baseball, Bowling) and relaxation (e.g. spa, salons) different cuisines to satisfy cravings (e.g. Italian, American, Japanese, Chinese cuisines), shopping, movies and museums, all of which are available in River Heights. On the south part of Rivers Heights along Grant Avenue is Grant Park Mall. It is a one-stop shop that offers a diverse range of specialty boutiques/stores that would satisfy your shopping experience. For the health buff, Pan Am Pool is a premier aquatic facility built in 1967 for the Pan American Games. The facility includes two competitive swimming pools, diving boards and a kiddie pool. It also has a track and an indoor weight room, and is on Poseidon Bay along Grant Avenue. Recreational bowling is another activity which provides infinite social and competitive opportunities that is a hit to kids and adults alike, and Academy Lanes is one of the bowling chains in the city that offer loads of fun at an affordable price. For the outgoing you, a number of establishments offer daily specials. One is The Pony Corral on the south part along Grant Avenue, which offers a variety of entertainment, from bands to karaoke night! River Heights includes many of Winnipeg’s oldest and most dignified homes. From what started to be Canada’s answer to Chicago’s gateway to the West, real estate in Winnipeg indeed has progressed and more developed. It was believed back then that it is the best place to live in. True as it is, River Heights is still as sophisticated and refined as ever because of the many mansions that were built since the 1900s and remains to be part of the community and its history. Nowadays, more modern architecture and structures adorn the streets of River Heights. Built with style and class, houses on this part of the city are truly worth every penny. Over the years, prices of houses have changed following what is the current trend. Today, depending on your budget, availability of houses, apartments or condominiums is at your reach. Away from the hustle and bustle of the busy Downtown area, River Heights is a peaceful and tranquil neighborhood. In terms of sanitation, the city service makes it a point to have scheduled pick-up of wastes to maintain cleanliness in the neighborhood. River Heights’ residents also do their part in the environment by segregating wastes that can be recycled which is everyone’s effort to sustain a cleaner and greener environment. River Heights is by far one of the safest neighborhoods in the city in comparison to others based on the statistical information provided by Crimestat, Winnipeg. Police cars patrol the area to maintain peace and safeguard residents. Aside from police visibility in the area, the communities/neighborhoods are encouraged to get citizens involved at the ground level by reporting or giving out information on neighborhood concerns or problems to be able to address as such properly and safely. The educational institutions also do their part in ensuring the safety of its students by having School Safety Patrol programs that educate the students about safety and are able to be good examples even at their young age. There are several options for primary and secondary level of education in River Heights, such are River Heights School, Montrose Elementary School, Brock-Corydon Elementary School, J.B. Mitchell School, Queenston Elementary School, Robert H. Smith Elementary School, Kelvin High School, and Grant Park High School which are all part of the Winnipeg School Division. St. Mary’s Academy on the other hand is a private Catholic girl’s school along Wellington Crescent, which is the oldest continually operating independent school in the province. Each school offers different programs to immerse each student in the skill that they want to acquire and improve. Winnipeg Transit has improved over the years, from its horse-drawn carriages, to trains and streetcars. Today, transit buses run routes across neighborhoods to different parts of the city. You may find several options for bus routes depending on your location in the community of River Heights. A list of bus routes, schedules and fares are available on Winnipeg Transit’s website. Aside from the transit buses, there is also a vast availability of privately owned taxicabs, and for a special need in transportation, a Handi-transit (handicapped transit) may be called to arrange for door-to-door transportation. Information of which may also be seen on Winnipeg Transit’s website. River Heights have quite a number of households in total according to the Census of 2006 that ranges from a single family to multiple families. Community Centers are an integral part for those that live in the area. These offers different kinds of activities and recreation for kids, young adults, and adults alike. There are three community centers serving the area: River Heights Community Centre, Crescentwood Community Centre, and Sir John Franklin Community Centre, all of which have different programs that would fit the need of an individual or a family. Generally, River Heights is the ideal place to settle and continue family living as it offers a lot for each family member’s needs.